With recent breakout hit series like Greenleaf and Queen Sugar, the Oprah Winfrey Network (OWN) is a must watch station for a lot of homes. But just because you want to watch Tyler Perry’s series The Haves and the Have Nots online, doesn’t mean you should have to pay hundreds of dollars a month! Thankfully, you don’t have to. Streaming services are a life saver for people who enjoy live television but don’t want the expensive bills or contracts. These streaming services are like Netflix or Hulu, but offer live TV channels instead of on-demand content. This article will show you the best ones to watch OWN without cable including Philo TV for $16 a month as well as DirecTV Now, PlayStation Vue, and YouTube TV for $40 a month each. What do I need to stream OWN? 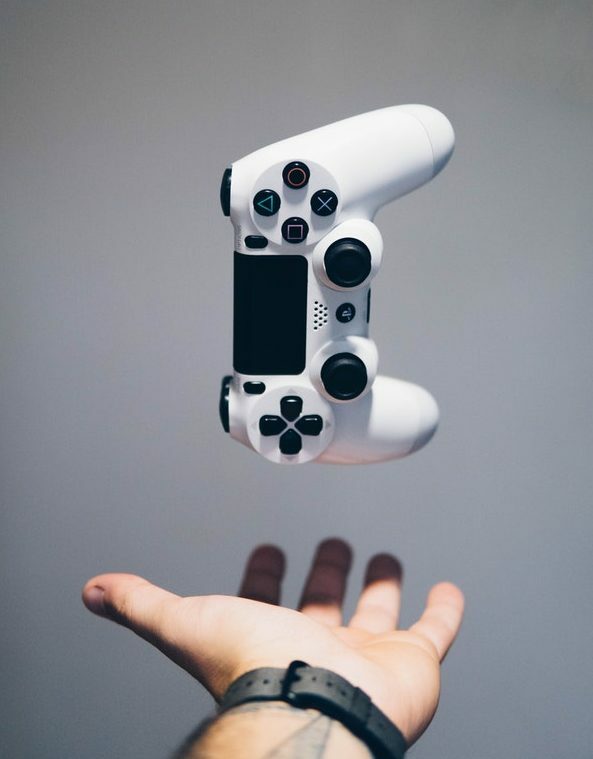 The first thing you’ll need before you can start streaming OWN online is an internet connection. If you’re currently paying for a “Bundle Deal” from your cable provider that gives you internet and cable together for a “bargain”, you’re likely spending way too much on internet. Almost all internet service providers offer standalone internet packages for a fraction of the price of their bundles. Since cable companies would prefer you spend extra money on content you don’t actually need, it can be pretty difficult to compare prices. Thankfully, there are quite a few free tools that exist online that make the process quick and painless. If you’d like to learn about some of the best tools we’ve found, our How to get internet without cable guide is here to help. The second thing you need to watch OWN without cable is a streaming device. Streaming devices are basically small computers that plug into the back of your TV and use your internet connection to play the services. They can be considered the cable box of cord cutting, but are significantly cheaper and don’t have a rental fee. 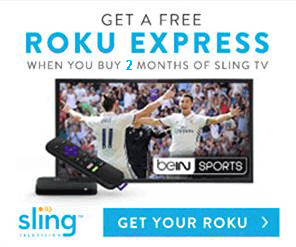 Watch OWN live on your TV with a Roku. Not every streaming service is compatible with every device, but most of the major ones are. 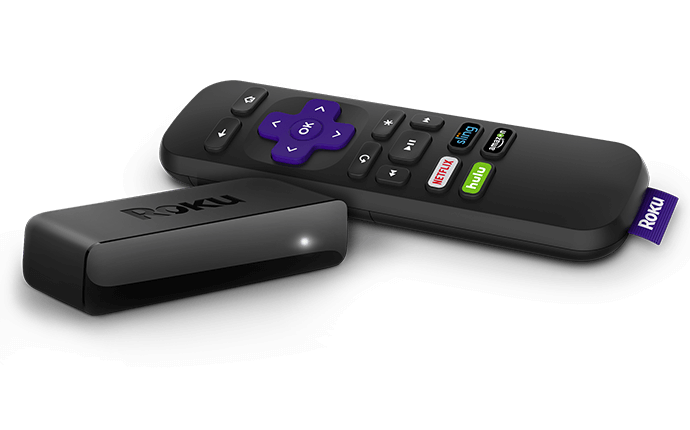 We typically recommend a Roku device for first time cordcutters and veterans alike due to their price, reliability, and overall compatibility. If you already own a different device or if you’d like to weigh your options, we’ll make sure to put a list of compatible devices below each streaming service that offers OWN without cable. If OWN is your primary focus for cordcutting, it’s going to be really hard to beat Philo TV‘s price. At only $16 a month, Philo TV is less than half the cost of any other streaming service that offers OWN. Not only will you get to watch OWN without cable, you’ll get 42 other popular cable channels including A&E, AMC, and HGTV. Philo TV‘s $16 package is appropriately named the 43 channel package. The image below shows the current channel lineup for Philo TV. Philo TV 43 Channel package includes OWN for only $16 a month. If Philo’s 43 Channel Package isn’t quite enough, they also offer a slightly larger package that adds 12 channels for only $4 more a month. The added channels include the Cooking Channel, Destination America, Nicktoons, and others shown in the image below. Although Philo TV includes a lot of really popular stations, it’s important to note what Philo TV excludes. Philo TV does not carry any local stations or sports networks. Local stations like ABC, NBC, and sports stations like ESPN cost service providers a lot of money to include in their packages. Realizing sports aren’t for everyone, Philo TV opted to exclude these channels from their channel lineup in order to offer other popular networks for a really low price. If their lack of local stations or sports networks is a deal breaker for you, don’t count Philo TV out quite yet. Since Philo TV is so cheap and intentionally excludes local stations, it positions itself perfectly as a compliment to an over the air antenna. What most people don’t realize is that there are a significant amount of networks broadcast over-the-air for free. 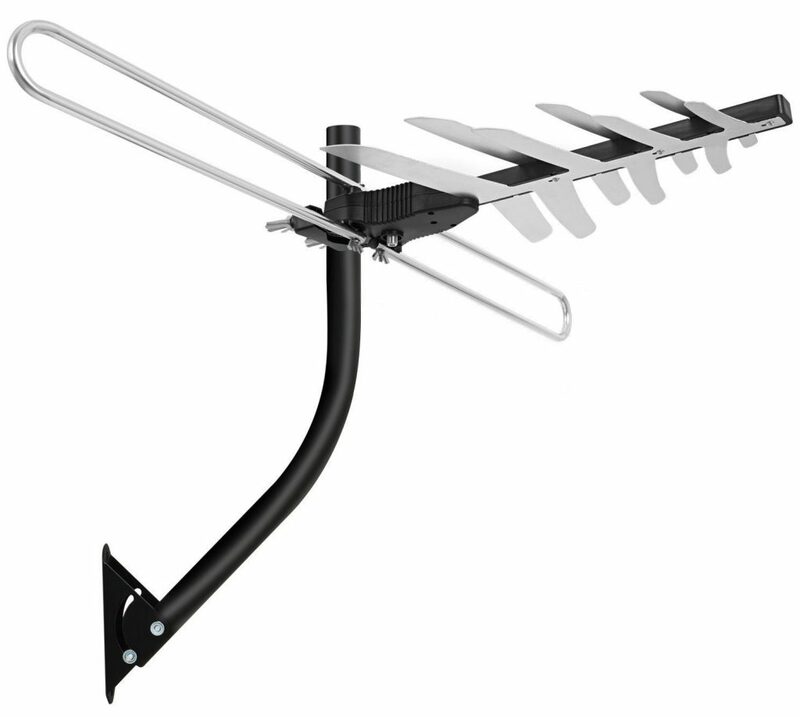 As a U.S. resident, you can purchase a cheap antenna and pick these stations up without spending a dime. ABC, CBS, NBC and most other local stations are available to be picked up if you’re in that networks coverage zone. Because over-the-air channels are literally picked up over-the-air, location has a huge influence over which channels are available to you. 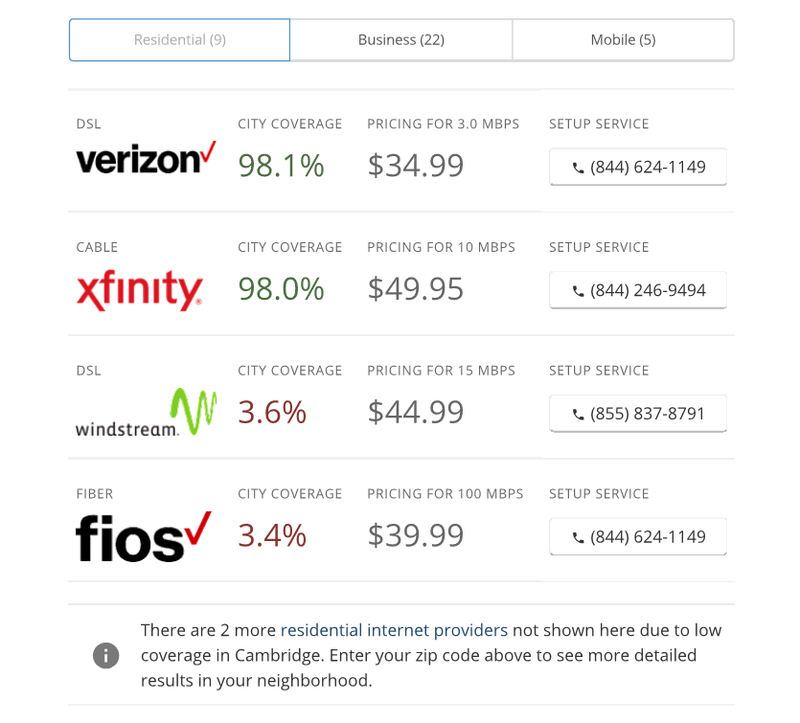 Similar to our guide on getting internet without cable, we’ve written an article on how to get free cable channels that outlines some easy tools to show you which channels you can likely pick up. It also outlines the different antenna types and some recommended models you might be interested in. You might not be able to pick up every channel, but free is free! One of the best parts about Philo TV is its free trial. Although most streaming services offer some type of trial, Philo’s is hands down the easiest. If you visit their website, in order to start your free trial all you need to do is give them your phone number. No other personal information is required like name, address, or payment information. You’ll be able to test the service for the first 48 hours before you have to give them a payment method. Not only does it make signing up easier, it makes it much harder to forget to unsubscribe if it’s not exactly what you were looking for. The switch to Philo TV can be pretty abrupt, especially if you’re coming from a big cable subscription with hundreds of channels. If Philo’s channel lineup is too small and you’re looking for something with a little more variety, DirecTV Now is great option to watch OWN without cable. With larger packages that include local TV networks, DirecTV Now is similar to cable, without the expensive contracts. Whenever we mention DirecTV Now , people automatically assume they need a satellite and a subscription. However, DirecTV Now is a totally different service than DirecTV. DirecTV Now does NOT require a satellite or yearly contract like its counterpart. Instead, it uses streaming devices and an internet connection to play your shows. DirecTV Now’s popularly is largely do to its channel lineup that’s equal parts quality and quantity. For $40 a month, it’s quite a bit more expensive than Philo, but comes with over 65 channels including ABC, CBS, ESPN, and others that Philo TV doesn’t offer. The table below shows the currently available channels in DirecTV Now’s $40 package called Live a Little for our Boston location. Since DirecTV Now offers local channels, make sure to put your zip code into their website to confirm channel availability at your location. DirecTV Now recently started including a beta cloud DVR feature that offers 20 hours of storage. Although not as good as some of its competitors, until recently DirecTV Now didn’t offer a DVR at all! One cool feature for DirecTV is its 72 hour rewind feature. If you miss the latest episode of The Haves and Have Nots, you’ll get up to 72 hours to go back and watch it. DirecTV Now also has the ability to stream 4K content to compatible 4K devices if you happen to have one. Another service with a confusing name is PlayStation Vue. You might assume that you would need a PlayStation in order to watch a service called PlayStation Vue and you wouldn’t be alone. Thankfully, PlayStation Vue isn’t a PlayStation exclusive and is just named poorly. Originally released by Sony for the PlayStation only, the service skyrocketed in popularity and has expanded to most streaming devices. It’s now one of the most popular streaming services (especially for sports) and is a fantastic way to watch OWN without cable. Like DirecTV Now, PlayStation Vue offers a handful of different packages of varying sizes and prices. These packages start at $44.99 for 50+ channels and increase to $79.99 for over 100. Thankfully, to start streaming OWN you’ll only need the smallest of the four. The smallest PlayStation Vue package is called Access and is the $44.99 option. Access includes over 50 other channels in addition to the OWN network. The image below shows the current channel lineup for the Access package at our Boston location. 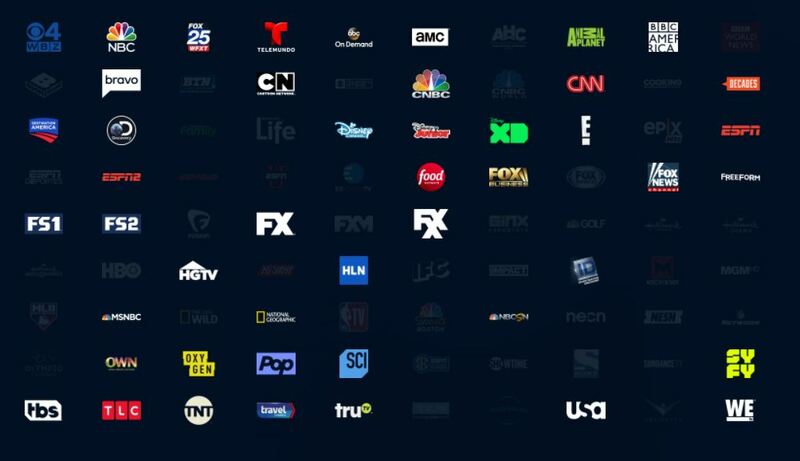 Due to the local channels in the package, make sure to double check the PlayStation Vue website and confirm the same channel lineup at your location. The darkened channels are channels that are available on PlayStation Vue but are part of the bigger packages. These packages are Core for 49.99, Elite for 59.99, and Ultra for 79.99. This page on the PlayStation website shows the different package options. PlayStation Vue’s DVR allows for unlimited recordings, but only holds them for 28 days. After that, it’ll start automatically deleting them whether you’ve watched them or not. It’s a little frustrating, but 28 days is a lot of time in the digital media world. Most people who have been using the internet in the last decade are familiar with YouTube. Although almost everyone knows they can visit YouTube to watch cat videos, a lot aren’t aware they can also watch live cable TV there too. Unlike the free cat videos, the live cable channels require a subscription and a small monthly fee. YouTube TV is YouTube’s streaming service and has exploded in popularity in a short amount of time. With an aggressive marketing campaign backed by one of the biggest media companies in the world, YouTube TV was brought further into the public eye when it was the main sponsor of the 2018 World Series. Although great for baseball, YouTube TV isn’t just for sports. The service has over 60 total channels including OWN for $40 a month. The image below shows the current YouTube TV channel lineup for our Boston location. 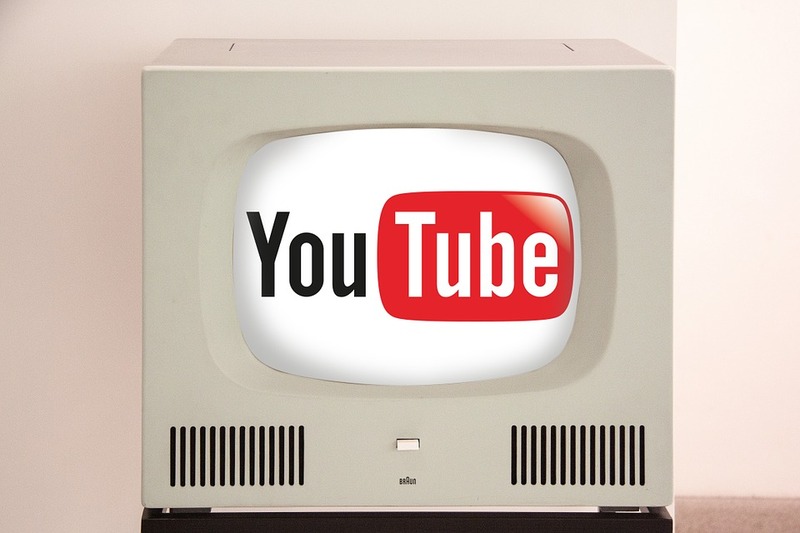 With one of the largest offerings of local stations, there’s a good chance your local stations are offered by YouTube, but you should make sure regardless. Visit their site and put in your 5 digit zip code to quickly see your local lineup. 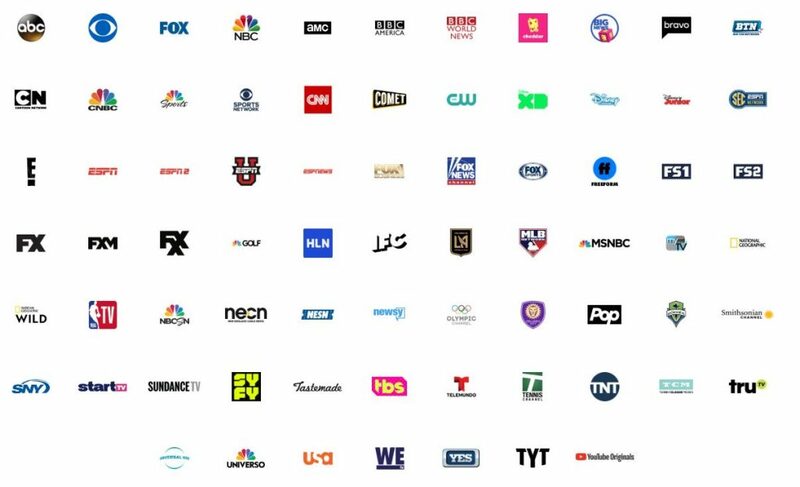 If YouTube TV’s 60+ channels aren’t quite enough for your household, they also offer some premium channels you can add on. One aspect of the service where YouTube TV blows its competitors out of the water is its DVR. 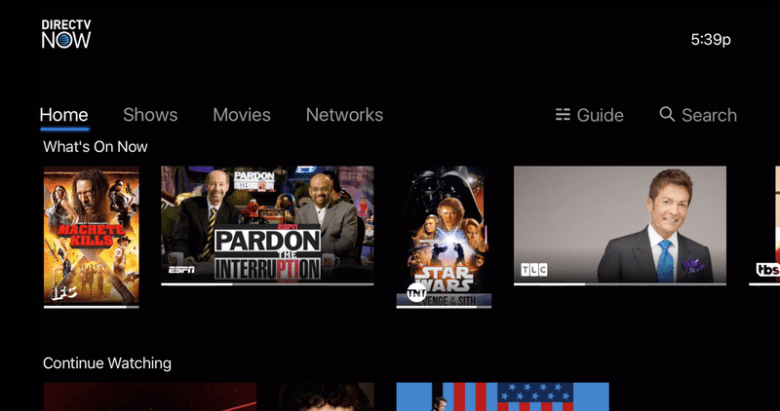 YouTube TV offers unlimited cloud DVR storage for up to 9 months. It may seem excessive to some, but anyone with a decently sized household knows how quickly space on the DVR disappears. The DVR isn’t the only part of YouTube TV that is multi-member household oriented. With up to 3 simultaneous stream and 6 different profiles, everyone in the house gets to watch what they want without interrupting anyone else. But, if you’re going to stream on three different TV’s at once, you’re going to need multiple streaming devices.